CGTalk | Cup of Tea? 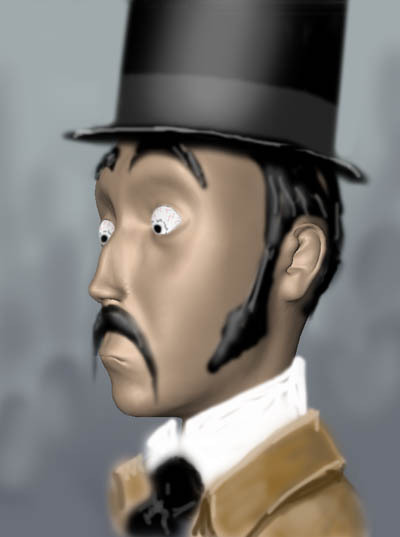 Many months ago I did a drawing of an arrogant aristocrat during lecture, which, funilly enough, turned out quite satisfying for me. 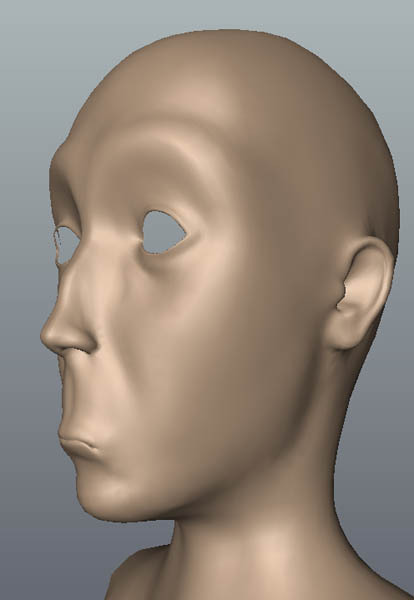 Well, for some reason I never started to model the guy though. Ok, fast forward to a moment three weeks ago. 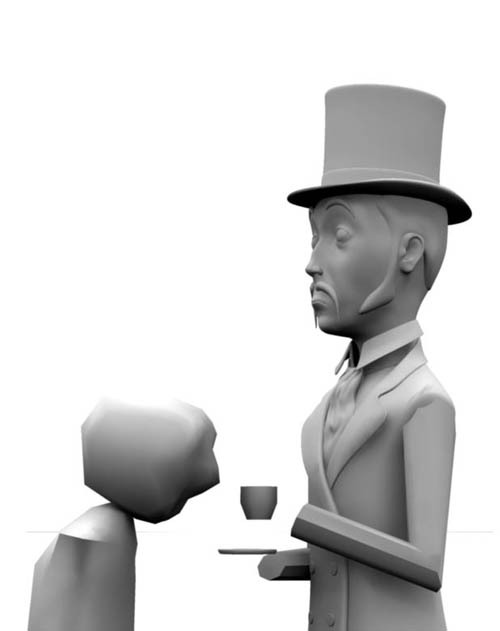 While doing some stuff for my website I suddenly had an idea for a great cartoon image of a tea drinking aristocrat and his “strange” companion. 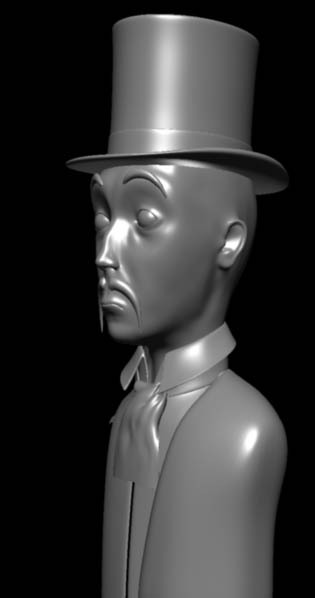 This model marks the very first one with which I go for a cartoony look. There are still many things left to improve like the ears, the neck and chin. I hope you like the beginning so far. Looks really nice, i cant tell this will be good! couple of crits, some pinching near the tear duct, and the ears are alittle strange, possibly their features need to be alittle more pronounced. During the last days I almost couldn’t find any time to continue to work on this image, so sorry for the delay. Today I continued for some minutes and reworked and refined the model a little bit. The ear now looks much better for me and I did some things here and there. 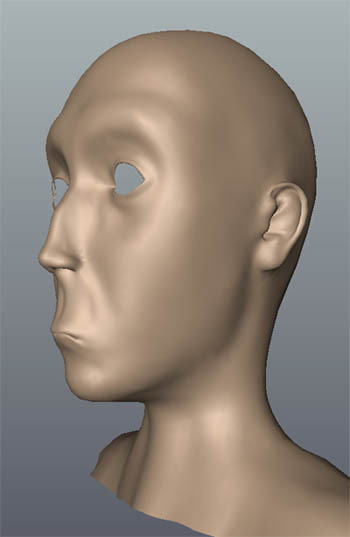 I think I will now move to the next phase which means going back to the main 3D app and adding some clothes to the guy. C&C always welcome. The more the better. Although I didn’t have very much time last week I was able to continue to work on my model for a little bit. While I tried to follow my drawing as close as possible I also changes various things as I think they will work better that way. At the moment I am working on a more low resolution to get a good overall shape everywhere. Afterwards i will get into the detail work and refining. I finally found some time to continue working on this image. I refined some elements of the first character, continued the general modelling and started to create the overall composition of the image. I bet this will be the first time you will truly understand what I am talking about and what image I want to create, heh?